Judging from the popularity of our article about Our First Furnished Apartment in Cuenca's El Centro, a whole lot of people are considering expat life … but have no idea how to find and rent an apartment there. I came across your blog while researching on furnished apartments in Cuenca as I am planning to make a trip to Cuenca in coming fall and stay there for 2 or 3 months. I love travelling and whenever possible I try to live for a few months in different parts of the world. I don’t know where you are now but I am wondering if you could guide me with a little help on how to find and rent a furnished apartment in Cuenca. I can see that you found your furnished apartment in Cuenca with a help from a local realtor. Would you be able to give me how I can reach him once I am in Cuenca? Does he speak good English? Are those furnished apartments offered for short terms such as 2 months? Your help would be greatly appreciated. We love to help, but we are NOT real estate agents! I'm happy to share what I can, but please understand that we don't have all the answers. The best I can do is to share what we've learned and tell you what we did, hoping that this page will give you some direction as you begin your own apartment search. OK, enough about that. If you want to rent a furnished apartment in Cuenca, here are some useful tips to help you find a place. Hopefully knowledgeable readers will share even more tips in the comments. Tip: You Don't spend all your time looking for a place to live. Have some fun, too. Take some time to explore the area. You might even wish to consider a more comprehensive tour like this one. A little relaxation will give you a clearer perspective. How much should an apartment cost? 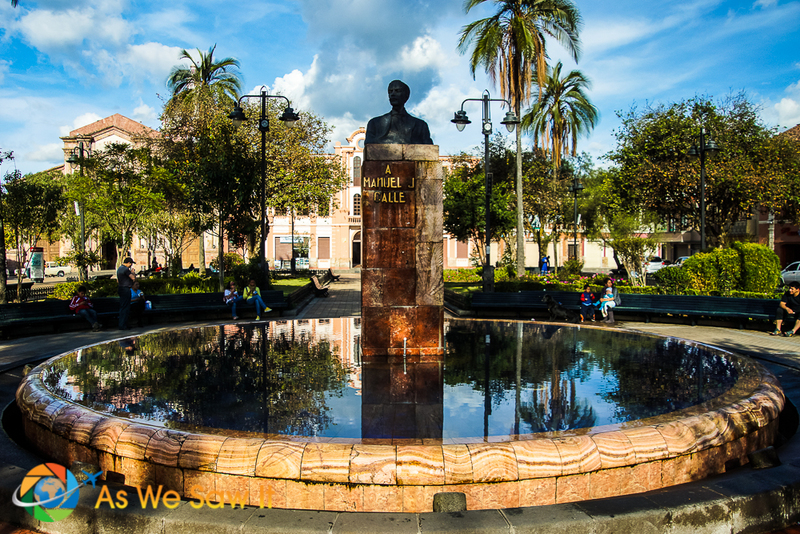 First lesson on living in Cuenca: Cuencanos aren't stupid: They know that Norte Americanos have more disposable income that they do, and therefore they reason that it is perfectly fair to charge more to gringos (that's us) than to locals. What that means to you is that if you see an apartment advertised in English, you can be sure that they are charging gringo prices for the place. The flip side of that is they also know that gringos are usually more selective, so the apartment may be in better condition, in a better area, and/or have more amenities. Tip: As you search, you will get a general idea of what reasonable rental prices should be in Cuenca. Take advantage of your browser's Translate feature. Chrome and Firefox, for instance, have an add-on that enables you to instantly translate web pages. Copy and paste an ad into Google Translate. Some apartments overlook parks like this. Which Cuenca neighborhood is best? We've learned the hard way that it's wise to get to know a city's neighborhoods before you commit to a long-term rental in an area you don't like. When we first moved to Panama, we stayed in a hotel for a week, and it was a blessing in disguise. Our hotel was a block from the nightlife, which created traffic noise outside our window until the wee hours. Plus, the church across the street pealed out its bells every morning before its 6, 7, and 8 am services so sleeping late was out of the question. Result: The experience helped us realize where we DIDN'T want to stay. When we began our apartment search, we ensured we would be nowhere within the sound of those bells and nowhere near a late-night party area. Tip: A little research into expat neighborhoods, markets, malls, nightlife spots and religious sites can help you narrow down your search. I can tell you that the best place to stay if you enjoy nightlife is near Calle Larga, because it puts everything within easy walking distance. If you would prefer live in a highrise, take a look at Gringolandia (around Ordonez Lasso & Las Americas). And if you would prefer a lot of local culture and want to be in the middle of things, El Centro may be more to your liking. See the end of the article for more resources. Once you're in Cuenca you can check bulletin boards around town, talk to expats and read the local paper. If a hotel is your preference, we recommend HotelsCombined because it gathers the rates from all the usual hotel sites (Expedia, Priceline, Orbitz, etc.) in one place. You might be surprised by the rates. Unsure of what part of Cuenca we would like most, we chose to rent a room for a few weeks while we got to know the city and sought a more affordable, long-term alternative. It worked out well when we became friends with another expat couple who were also staying there. We would compare notes in the evening and share our discoveries of unique markets, museums, and restaurants. And our English-speaking landlady, who lived nearby, would stop by occasionally to say hi and was available 24/7 by phone, so we had lots of help learning our way around. There is something to be said for this style of living. It's usually more affordable than a hotel, you can cook your own food, and your host can explain things like how to get around the city, where to shop and which places should be avoided after dark. Depending on your preference, you can stay as the honored guest of a local family in a homestay, rent a furnished room (you do your own thing), or be left alone in your very own apartment. This street in El Centro is chock full of apartments. To find such a place, you will want to search online for “short-term rentals” or “vacation rentals.” If you prefer to search one-by-one, here are a few companies to begin with. We suggest comparing websites to see what is the best fit. Be sure to verify the total cost for your stay before you book; just as hotels add taxes, some of these sites have add-ons, like security deposits or a one-time cleaning fee. TIP: in some locations, hotels actually are less expensive, so compare prices for both. Living with Cuencanos can be a great experience! There are also a number of weekly expat meet-ups around town so as soon as we arrived we started our apartment search by asking all the expats we met about rentals. You never know when someone may know of a good place to rent short- or long-term. We also could have asked on online Cuenca expat groups (including on Facebook!) but we didn't think of that until later. 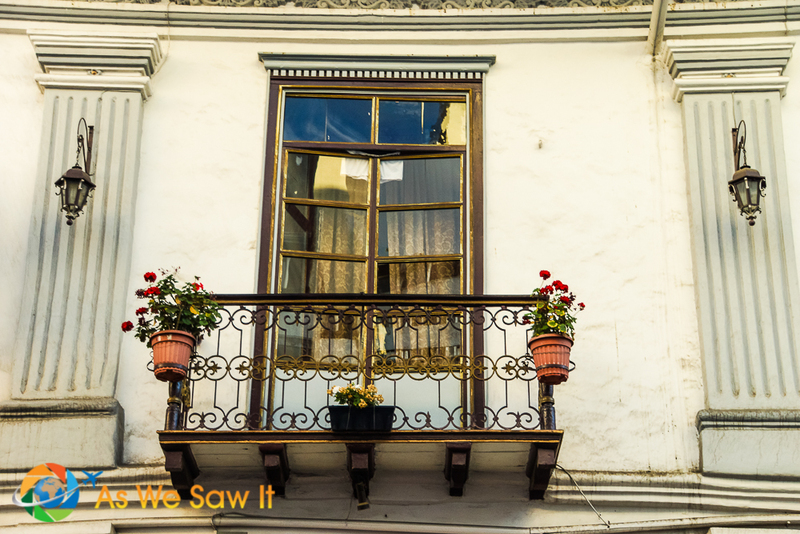 Word of mouth is how we found our very first apartment in Cuenca. The building was in “Gringolandia,” a part of the city that is chock-full of new condos and popular with North American expatriates. 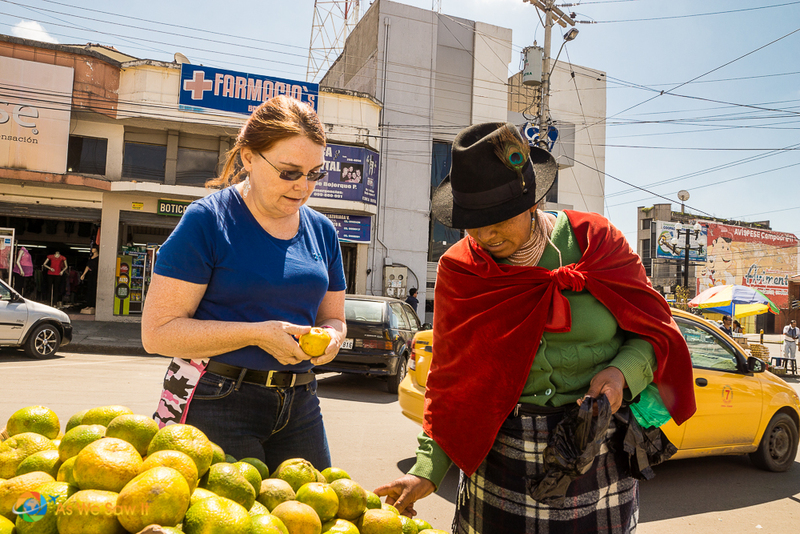 The pros of living in Gringolandia were that we were within walking distance of both a huge American-style grocery store and the city's largest local market, Feria Libre. We were impressed that it had full-time security, a gym, a pool, and an English-speaking building administration. We were also enchanted by the beautiful view of the Cajas mountain range from our windows. There were downsides as well: the higher price of our rental, that the cost of some utilities was shared among all tenants, and it was far from El Centro, our favorite part of Cuenca. We also hadn't made any real friends in the building. That mattered, too. We had negotiated a three-month lease with a “take it or leave it” option to renew for a year at the end. By the time the lease was ready to expire we had realized we were ready to move. 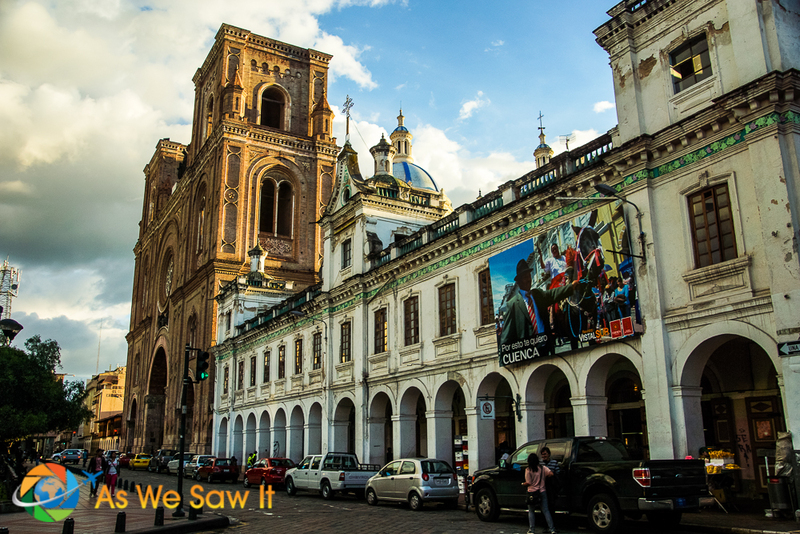 We didn't like being insulated from Ecuadorians anyway – that's why we'd moved there, to experience the culture – so we decided to move to El Centro. We'd never lived in a UNESCO site before. Be prepared for a new life in Ecuador. They have their own laws and different attitudes, such as that it is fine in their country tocan discriminate. Some Cuencanos prefer to rent only to locals (similar expectations, culture and language), some raise the price for gringos, and others don't care who you are, they'll rent to anyone who's interested. Some will consider short-term stays, others won't. You just have to ask. Where in town do you look? Some people have found leads from ads on bulletin boards at local restaurants, hotels, hostels, and Cuenca University. 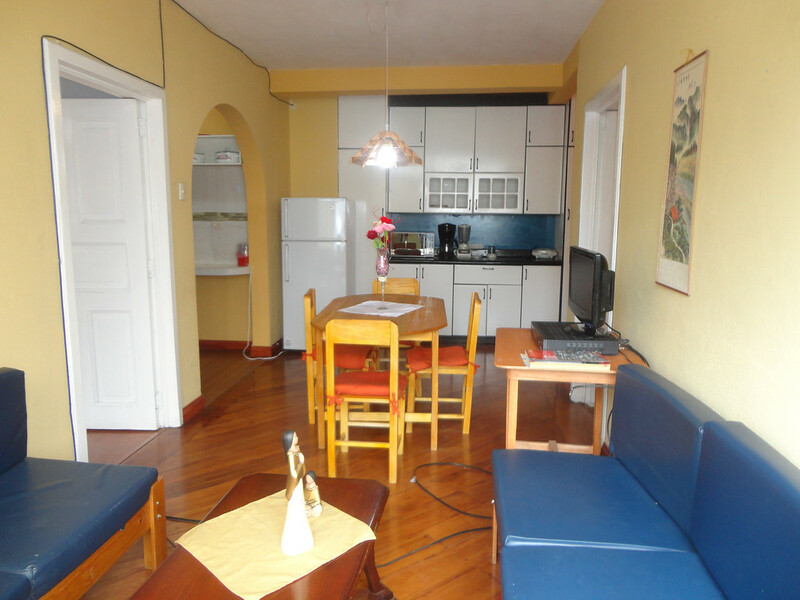 The classifieds can be a great source for finding a furnished apartment for rent in Cuenca. Check the local newspapers. You can find them all at the university library. If you keep your eyes open as you walk through town, you'll see windows with signs that say se arrienda (“for rent”). If they are furnished they will also include the word amueblado. This is how you get the best prices because you don't have any fees from agents and websites. When viewing apartments, it is smart to have a local Ecuadorian with you (for translating and to avoid getting ripped off). You may also want a friend to accompany you (for safety concerns). If you find a great apartment at a fabulous rate, you must decide quickly. Low priced rentals get snapped up quickly. It is advisable to get receipts for all transactions with your landlord in case a dispute ever arises. It is always best to get a written lease agreement, just to have something on paper. Insist, if you must. Likewise, always get a receipt for your deposit (usually one month’s rent) and every rental payment. Make sure the landlord includes things like cooking pots, towels, shower curtains and dishes. You shouldn’t have to spend money buying necessities for a furnished apartment, especially if you will not want to keep it when you leave. Be insistent on having everything you think you should before making a deal. It's also fine to negotiate for everything you think you will need before making a deal. Speaking of “furnished,” the sheets in Ecuador are horrible quality; no matter what the label says, they will pill within a few weeks. If you can manage it, bring a set of sheets from home. Same tip if you like fluffy towels. Researching online, you may read that apartments can rent for as little as $300 per month. That may be true, but the fine print is that these apartments are unfurnished or partially furnished places and not in Gringolandia. With only a couple of weeks left on our lease, we hired Frank and Angie Lewis at Gringo Good Samaritans to search for a suitable apartment and negotiate the best rate. They were extremely helpful and sympathetic, and showed us a number of good places around the city. It was also nice to find someone who spoke English who we could trust. While we were looking with Frank and Angie, an ad for a one-year rental appeared in GringoTree that sounded perfect. A few emails later, we met a real estate agent to see an apartment in El Centro. This one rented for $200/month less that our place in Gringolandia, and it even included utilities! Our agent did all the negotiation for us, and gave us a printed English translation of the contract we were to sign. Yes, this is the apartment that we wrote about in our hit article, Our First Furnished Apartment in Cuenca's El Centro. As we said earlier, we don't have all the answers, but we're happy to share what we know. After all, that's what As We Saw It is here for: to empower you to be a savvy traveler. Or expat. We're here for you. 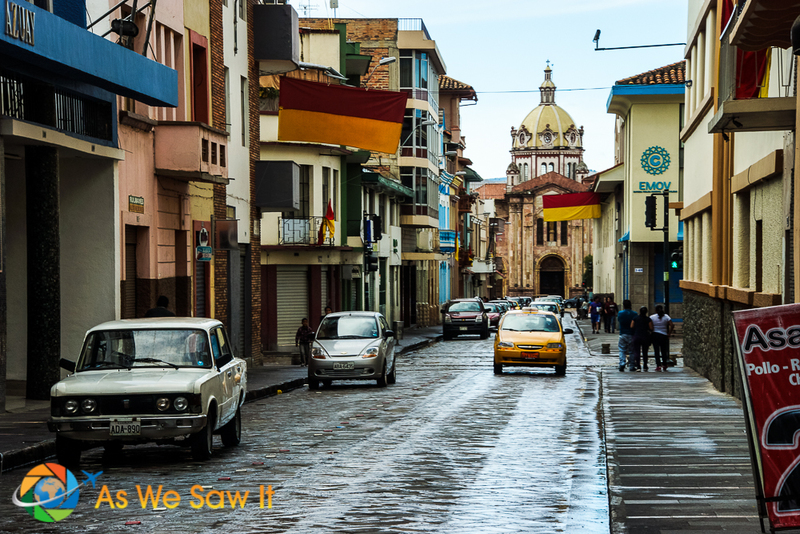 We hope you like Cuenca as much as we did, if not more. Please leave a comment below if you found this article helpful or if you have any additional tips for apartment searchers. The official tourism website for Cuenca, Ecuador can be found here. Lodging: For sleeping options, we recommend HotelsCombined. From resorts to hostels to apartments, they compile the best deals from all over the web, including Booking, Expedia, Agoda, and more. If you're going to do some sightseeing, Get Your Guide offers affordable, custom tours to and around Cuenca. Click here to see them all. For more sightseeing, see our Ecuador photo gallery. Google Maps offers an aerial view of the area around Cuenca, Ecuador. Zoom, scroll around and explore! 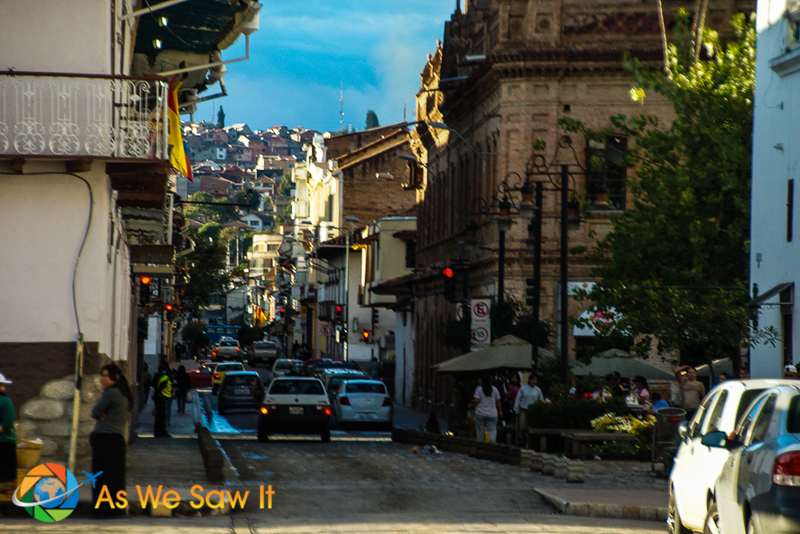 This article discusses the 5 most popular gringo neighborhoods in Cuenca. Frank and Angie have written the [easyazon_link identifier=”1312514167″ locale=”US” tag=”awsi09-20″]DIY Cuenca Landing Guide. [/easyazon_link] We bought it and thought it was really helpful. Hi Dawne, Good on you to research the negative aspects before deciding to move somewhere! We think Cuenca is a wonderful retirement destination. In our case, we really don’t have any complaints except that you can only fly to Quito and Guayaquil from the city’s “international” airport. We left Ecuador because our (90-day tourist) visa expired and returned to the U.S. for family. 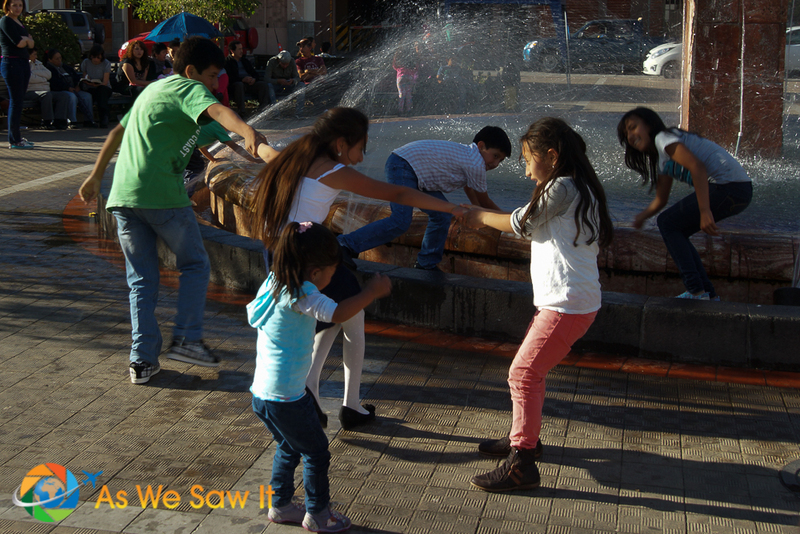 Rather than return to Ecuador, which is a place we know, we are now trying something completely new. We just moved to Asia to explore what the continent has to offer. Stories to come …. My Spanish is not fluent but is well beyond basic, Spanish phrase usage. I stayed for about a week in Guaranda where a local told me that I would be Spanish fluent in about 3 months with continuing work in and study of the language. Do you know if folks in Cuenca would be willing to help a gringo continue learning Spanish? Are there Spanish as a second language classes where gringos can go for additional fluency? Do any of the local television stations have Spanish as a second language programming? Are there Peace Corps Spanish language classes where expats could join and learn the language along with Peace Corps volunteers? Hi John, thanks for your question. Our experience was that the locals were really appreciative of our efforts to speak Spanish and were happy to help us when we stumbled over a word and asked for help. Our learning was on the street; we didn’t try to take any classes in person or on TV due to our work schedules. They are available in Cuenca, but I am not aware of any that are related to the Peace Corps. I’d love to be able to answer you accurately but we were there a few years ago and things change. 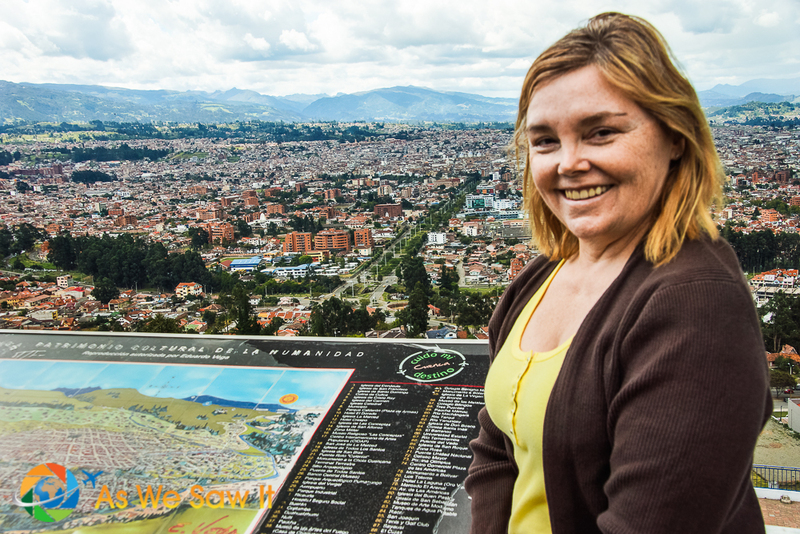 You’d probably get the best, most current information by running a web search for “spanish language classes cuenca ecuador” or by asking for suggestions on one of the cuenca expat forums. Hello! My husband and I are thinking of retiring in Cuenca, but we have never been there. We are drawn by its beauty and its low cost of living. Does anyone know what the costs would be of getting residency there as well as finding an inexpensive apartment? The problem is we know no one there and would be very pleased to make some friends and business acquaintances in the expat community. We know about the Pensionado visa (which my husband qualifies for) but I am not yet retirement age so I might want to work for a while yet. I’m not certain which visa I would qualify for and what the costs might be. Unfortunately Kim, we don’t have the answer about costs because we never applied for the Pensionado visa. But as for finding new friends in the expat community, our best tip is to use various search engines and use the term “expat cuenca.” We search for “expat [country]” whenever we relocate (about to move to our fourth country) and always find a bunch of useful resources, some of which come from links on the various websites. It’s hard, Mana. My best suggestion is to use a service like Airbnb, rent for a week or two and ask around. That’s what we did. You are fortunate to be able to stay in Ecuador for 6 months. We Americans are limited to 90 days per year. Wow, you give really great advice here! All of your pictures are absolutely stunning and are enough to entice anyone into at least briefly consider moving to Ecuador. What a beautiful place! It can be really tough to find the right living space, especially if you’re moving to a new place. This is a great resource that could help guide anyone who needs it! Nicely done! Thanks for sharing! Yes, that’s why we advise people to rent for a while to get to know a new city before making a long-term commitment. Glad you enjoyed our article. Although a real estate agent costs money, they definitely save you time. They do all of the searching and negotiating. I am really bad at negotiating, so I would hire a real estate agent. I am so happy you found a place in Gringo Tree. That sounds like a wonderful place to live. I agree with you, Charlotte, real estate agents save you a lot of time. They can also save you a lot of money with their negotiating skills, as you also pointed out. What a lot of people don’t realize is that they can also save you a lot of heartache and headache by being aware of scams and possible issues you may face when purchasing in a foreign country. I would never enter into a business contract in a foreign country without proper representation, whether or not I knew the language. Thanks for your comment. It makes sense that you should act quickly if you find an apartment rental that you like that’s at a decent price. My brother could definitely benefit from that piece of advice! He’s currently searching for a good apartment, but usually takes his time making any kind of decision. You can’t expect the deals you find to be available for long, since other people are likely to have noticed the same deals! I can’t blame your brother for wanting to be sure he’s getting the right place but yes, the best deals go quickly. I know for sure that’s true in Cuenca. Hi ,, were a retired couple from Canada , wanting to spend some time in your country,, visited last year for a week, but need more time now, really enjoyed the cultural, and city life. furished with dishes, pots and pans, towels, tv, satellite, and wi-fi. Washing machine, and dryer. Hi, Ed, I think El Centro is a great choice but if it were me I’d avoid the river area (Calle Larga runs along the river). That’s where all the nightlife (read: noise) is, and it can go all night on weekends. We don’t live in Ecuador any more so I can’t help with word of mouth. The best options for someone who wants to stay for a month are the short-term furnished apartments I mentioned in the article: FlipKey, Home Away and Airbnb. You can view available places on a map, see photos of each one, and contact potential hosts with your questions.